CONTROL Synergy‘s Antenex antenna uses ‘Phantom’ patented technology providing a low profile, yet rugged and reliable construction. The antenna features a ‘whipless’ design, which means the device doesn’t look like an antenna, therefore it attracts less attention, less vandalism and has lower wind resistance. For example, the device allows car washes without removing the antenna. The Phantom is a tough antenna for outdoor or indoor applications and is less susceptible to damage by trees, garages or other obstructions. The Phantom's revolutionary design features field diversity with both vertical and horizontal polarisation components, for instance, having two antennas. 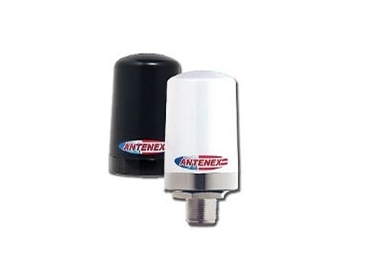 This gives the antenna diversity, frequency agility, low visibility, wide bandwidth and a low angle radiation pattern that is superior to traditional gain antennas in most applications, according to Control Synergy. Permanent mount versions of the UHF and higher frequency models (900MHz - 2.4GHz) are available for high risk applications, such as metering, where antennas must resist vandalism and achieve economical mounting. The Antenna Phantom is versatile and excellent for voice or telemetry applications.